Well done to our 12 Year Four children who competed in the Durham Gala Theatre ‘Eurovision’ SONGS FOR EUROPE singing contest. The children competed against 24 other schools from Northumberland, Tyne and Wear and County Durham. 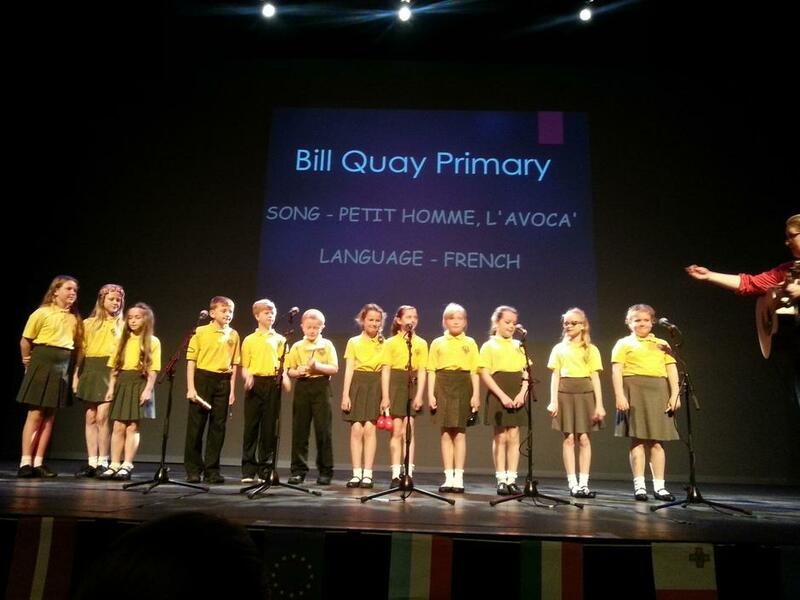 Although they were nervous, singing in front of an audience of 380 people, they sounded beautiful, singing a French song – Petit Homme, L’Avoca. Unfortunately, they were beaten by a school who sang ‘Stand By Me’ in Lithuanian! However, they were all winners in our eyes – fabulous work!